From the My Little Pony collection by Spoontiques. My Little Pony Friendship is Magic Pink Acrylic Twist Top Water Bottle. 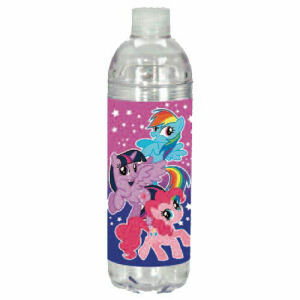 Spoontiques My Little Pony Water Bottles shipping from Canada. No Surprise Border fees or Customs!